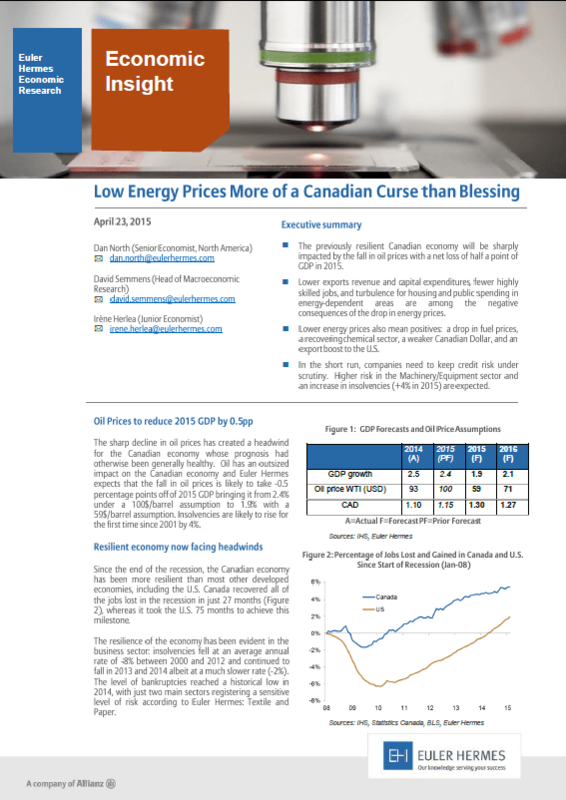 The previously resilient Canadian economy will be sharply impacted by the fall in oil prices with a net loss of half a point of GDP in 2015. In the short run companies need to keep credit risk under scrutiny. An increase in insolvencies is expected ( 4% in 2015). Discover in this document the key figures and economic indicators.